We've all read the usual old advice about how to fall asleep. In fact, I've written about it here before. But what do you do when those things don't work? What do you do when your insomnia keeps getting worse, night after night, even though you're completely exhausted? The Outsmart Insomnia Protocol says it can cure even the most stubborn cases of insomnia, so I bought it to see what it's all about. As an occasional insomnia sufferer myself I was curious to see if it lived up to the hype. In this review I tell you about the ebook and what I think about it. Outsmart Insomnia is a program you can download that claims to teach you how to cure insomnia naturally. The program actually teaches several different ways to get a full night's rest. You can use every technique or you can pick and choose the strategies that work for you. The ideas and techniques you learn about in Outsmart Insomnia Protocol are a mix of familiar and new. For example, it goes over the basics of ‘sleep hygiene', which are no doubt well-known to most insomnia sufferers. On the other hand, I did learn some new things that I still occasionally use when I have trouble falling asleep. There isn't much evidence cited but it appears to be scientifically sound. The author is clearly familiar with brain physiology and sleep research. However it's hard to know how authoritative the author really is because we don't know much about him. The program was created by Sam Oakes, who claims to be a regular guy with a job and a family who suffered from severe insomnia for years. He says he met a former insomniac named Ryan Harmon at a conference who taught him a “simple solution” for curing insomnia. From there he went on to cure his insomnia, and now he is telling others how they can do it too. I don't know if that story is true. I suspect it's at least exaggerated in order to help sell the program. But whether it's true or not, we don't really know what Sam Oakes' credentials are. Although it would be nice to know more about the product creator, let's take a look at the product itself to see if it's worth your time. Outsmart Insomnia currently costs a one-time payment of $37. This may seem like a lot for a digital product, but in my view if it helps then it is well worth the cost. After all, most sleep supplements cost at least that much and you have to keep buying them. So does the product actually help? It depends, of course, on your situation. People can experience insomnia for many reasons, so it's unlikely that Outsmart Insomnia works for everyone. But as I said earlier, the program has a whole bunch of techniques and ideas for how to fall asleep naturally. If you suffer from the usual insomnia that affects working adults, you will likely learn some things that will improve your sleep. I did. 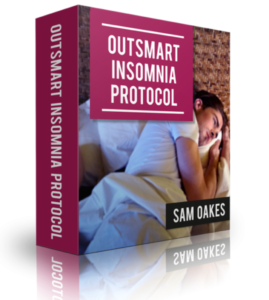 Part one of the Outsmart Insomnia Protocol ebook consists of the first four chapters. This section goes over a lot of the basics about insomnia. You'll learn about how our understanding of insomnia has evolved over time. Once upon a time people thought insomnia was a completely psychological problem, but the truth is that there is a deep neural component too. This is the section where you get a refresher on the basics of sleep science and sleep hygiene. This includes a chapter called “The Worst Mistakes To Make Before Bed,” which is definitely worth reading in full. Some of you will already know about these common sleep mistakes, but for others it could be insightful. The first thing you learn about are four different “All-Natural Insomnia Busting Shakes.” These are fairly simple smoothies that use whole food ingredients you probably already have in your kitchen. The ingredients are all included because of certain sleep-enhancing properties. I personally thought the shakes were one of the best parts of Outsmart Insomnia. Like a lot of people I sometimes eat a lot before bed. So a smoothie recipe that doubles as a sleep aid was perfect for me. The following chapters teach you more sleep-inducing techniques that you can apply immediately. There are methods to help your body physically relax and unwind, and methods to counteract your racing thoughts and worries when you're trying to fall asleep. The last couple chapters of Part 2 go over good night time habits and ways you should modify your sleep setup. If you're concerned about falling asleep tonight, I recommend skipping straight to Part Two. I find these strategies helpful when I get occasional sleeplessness, so odds are they can help you too. Part Three (chapters 15- 17) goes over the deeper issues that could be causing your insomnia, and then gives your more strategies to deal with the neural component of insomnia. The first chapter of Part Three are kind of like a ‘sleep audit'. 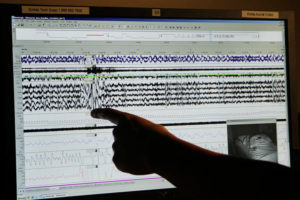 The idea is to uncover what's causing your insomnia, as there are a few different general causes of insomnia out there. Then chapters 16 and 17 discuss ways to address insomnia on a deeper neurological level. In fact, chapter 16 draws on the science of hypnosis to help you sleep when you have racing thoughts and nervous tension. There's more to Part 4, but the topics above are discussed in detail. Just like Part 1, there is probably going to be a lot of familiar information for those of you who have dealt with insomnia for a while. But it's presented very clearly and you will get actionable tips to improve your sleep quality. 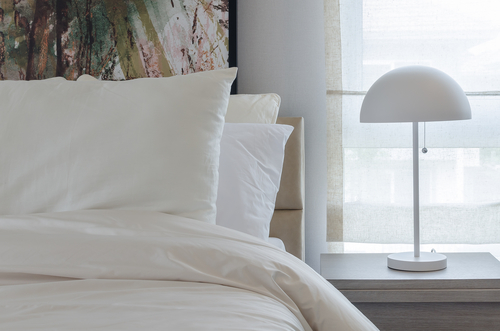 Wrapping Up: Should You Try the Outsmart Insomnia Protocol? If you're struggling with insomnia but you're wary of taking supplements, I recommend giving Outsmart Insomnia a try. I know how hard it is to not sleep at night – it can ruin the quality of your life and put a big strain on your relationships. It's hard to think about all the heartbreak people can cause in their lives due to lack of sleep. Realistically, Outsmart Insomnia won't cure every last case of insomnia. Some people have unique issues that cause their sleepless nights, and some cases of insomnia are just plain stubborn. But I suspect a lot of people – perhaps a majority of insomnia sufferers – will experience real improvement if they follow the advice in this program. With that in mind, check out the Outsmart Insomnia website now before you suffer through another long night: >>www.outsmartinsomnia.com<<. If you're not sure about it yet, you can try it risk-free for up to 60 days. By that time you will know if the program helps, and you can easily get your money back if not. All the information on this website is published in good faith and for general information purpose only. Healthskeptic.org does not make any warranties about the completeness, reliability and accuracy of this information. Any action you take upon the information you find on this website (healthskeptic.org), is strictly at your own risk. Healthskeptic.org will not be liable for any losses and/or damages in connection with the use of our website. The owner(s) of this blog is compensated to provide opinion on products, services, websites and various other topics. The views and opinions expressed on this blog are purely the bloggers’ own. Any product claim, statistic, quote or other representation about a product or service should be verified with the manufacturer, provider or party in question. As an Amazon Associate I earn from qualifying purchases.